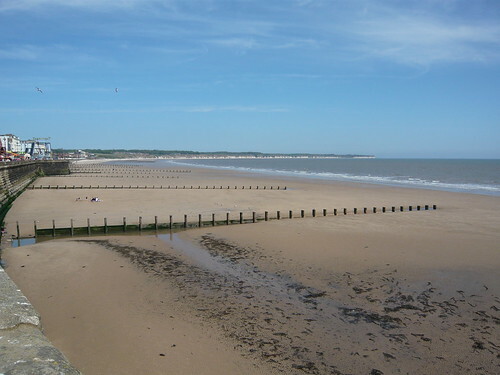 Brid or Bridlington to give it it’s Sunday name is a popular seaside resort with sandy beaches and an interesting harbour. The Groynes are wooden defences that run out to sea and protect the sandy beaches from adverse weather. The harbour is very tidal as the pictures below show. 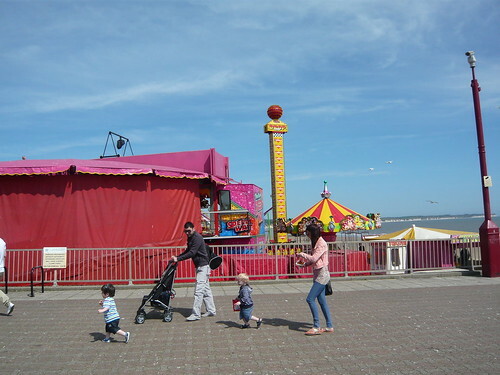 As a family resort there are many amusements, rides and arcades. You can’t always rely on getting a prize in the arcades so you must have your fun from taking part. To feed the kids there are more ‘chippy’s’ than you can shake a cod or haddock at. Bridlington Market day at King Street is Wednesday but it is usually open Friday-Sunday in the season. 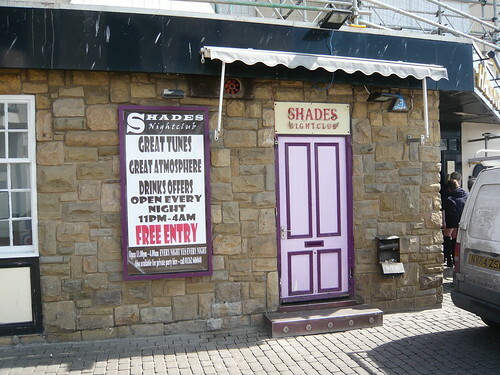 Night life for the adults includes the ‘Shades’ night club below as well as pubs and the Victoria Sailors and Working Men’s C& I Union affiliated club. Don’t sailors work then or are Victoria sailors different? When the Domesday book was written Bridlington was named Bretlinton in the Howton Hundred. In Yorkshire we were more accustomed to use the Norse ‘wapentake’ to replaced several Anglo-Saxon hundreds. 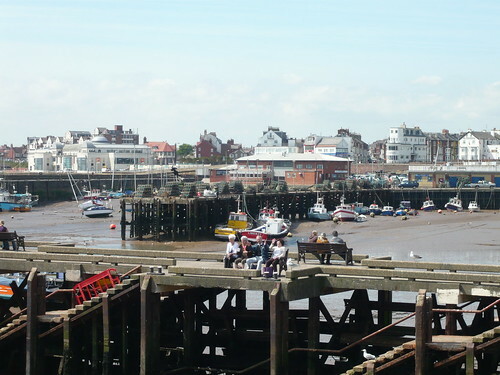 A small fishing port grew up near the coast known as Bridlington Quay. 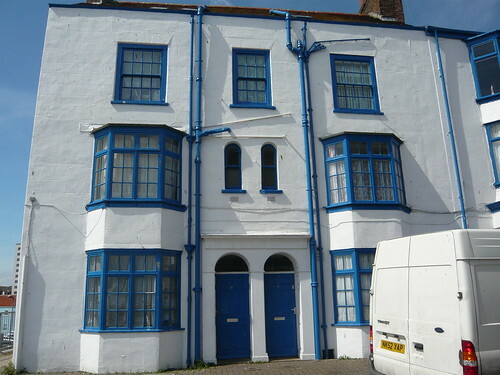 After the discovery of a chalybeate spring, the Quay developed in the 19th century to become a seaside resort. The railway station opened on 6 October 1846 between the Quay and the historic town. Victorian tourists visiting Bridlington needed entertainment and in 1896 the New Spa and Gardens were opened. The theater still holds audiences of 1000 and the Royal Hall 3000.
Leisure World boasts 3 pools, including a fun pool with waves, slides, rain storm effect and water features, a 25m training pool and a learner pool. Neighbouring resorts include Flamborough, Hornsea and Withernsea with the RSPB bird watching site at Bempton Cliff just to the north. The Bridlington “land train” goes all the way out to Sewerby and the gardens and Hall. If it’s the tourist season why can’t we shoot them? Q. Why do only ten per cent of Bridlington men go to heaven? A. Any more and it would be hell. Read more Yorkshire Facts for the interesting and unusual. The Bridlington carnival is a tradition highlight of the summer season, and is fun for all the family with a parade, entertainment, competitions and various shows including custom cars and a dog show. Visit Bridlington on Sunday 7th August 2016 for this cliff top bonanza.